Here is a link to resources on how to use Google Apps for Education. 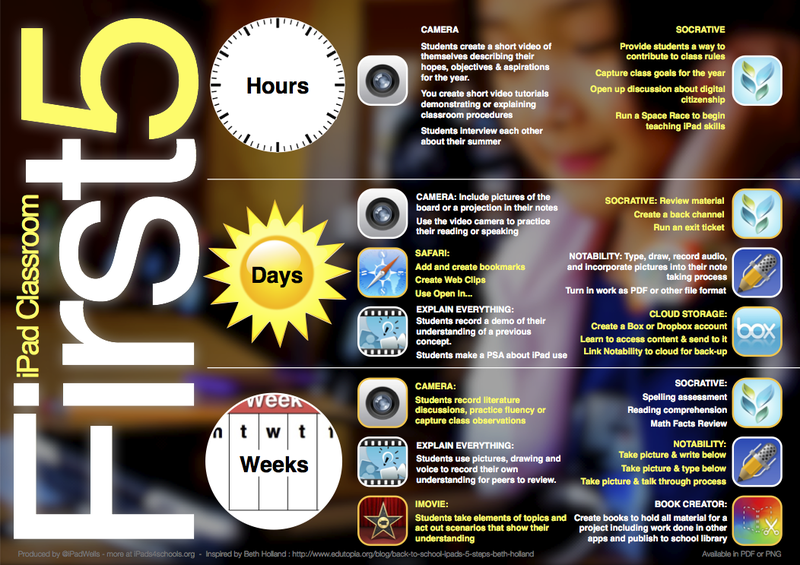 Below are a list of activities that will help teachers design learning in a BYOD environment. The activities are only suggested activities and teachers are encouraged to modify them to suit the needs of their students. For more information on how to use Edmodo in class, click here. For more information on how to use Google Apps, click here. Click here to download this poster as a PDF for your classroom. Have your students record radio commercials or a radio show to explain a concept in a unit of work. For the iPad try Pocket Wavepad.